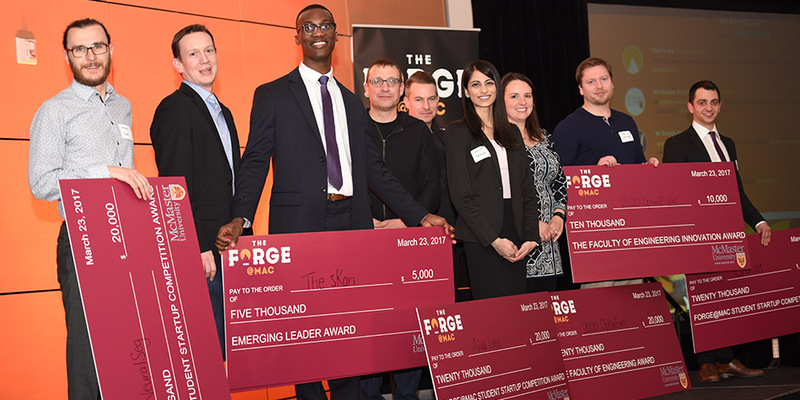 On March 23, The Forge held it’s third annual Forge@MAC Student Startup Competition. The event was attended by over 200 guests including students and individuals interested in the Hamilton entrepreneurial ecosystem. Ten McMaster University entrepreneurs were finalists in the competition. Their startup ideas ranged from a website overlay startup that optimizes websites to a new and improved eye drop that helps keep active ingredients in your eye for more effective treatment. The big winner of the night, 20/20 OptimEyes, took home $30,000 to further accelerate their biotechnology startup. The company is developing a transformative improved eye drop for ocular diseases. The drug delivery platform, targeted initially for dry eye disease, allows patients to put in drops painlessly and less frequently, thus improving patient compliance and increasing clinical outcomes to improve their vision. Three winners each won $20,000 in cash and there were also in-kind prizes awarded from sponsors. The audience was asked to vote for their favourite startup. Entrepreneur Rotimi Fadiya, on behalf of The sKan, was awarded the $5,000 People’s Choice prize. The panel of judges decided the winners and provided the Top 10 Finalists with feedback. This year’s judges were: Dan Sinai, Senior Executive, Innovation Ecosystems, IBM; Lynn McNeil, COO, ChipCare; Marc Gibson, Operations Manager, JLABS; and Stuart Wheldon, Technology Investor and Entrepreneur. Forge@MAC was sponsored by the McMaster University Faculty of Engineering, Nix Sensor Ltd., Fresh 95.3, Clausehound, School Digital. We were also supported by our partners McMaster University, Innovation Factory, W Booth School of Engineering Practice and Bruha. 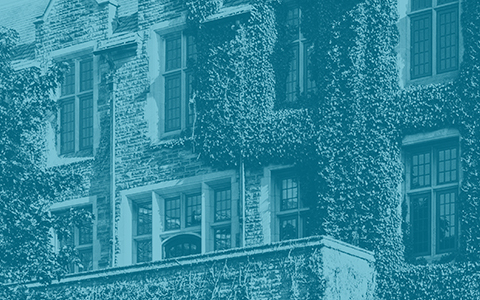 The Forge is McMaster University’s on-campus entrepreneurship initiative and Hamilton’s startup incubator.